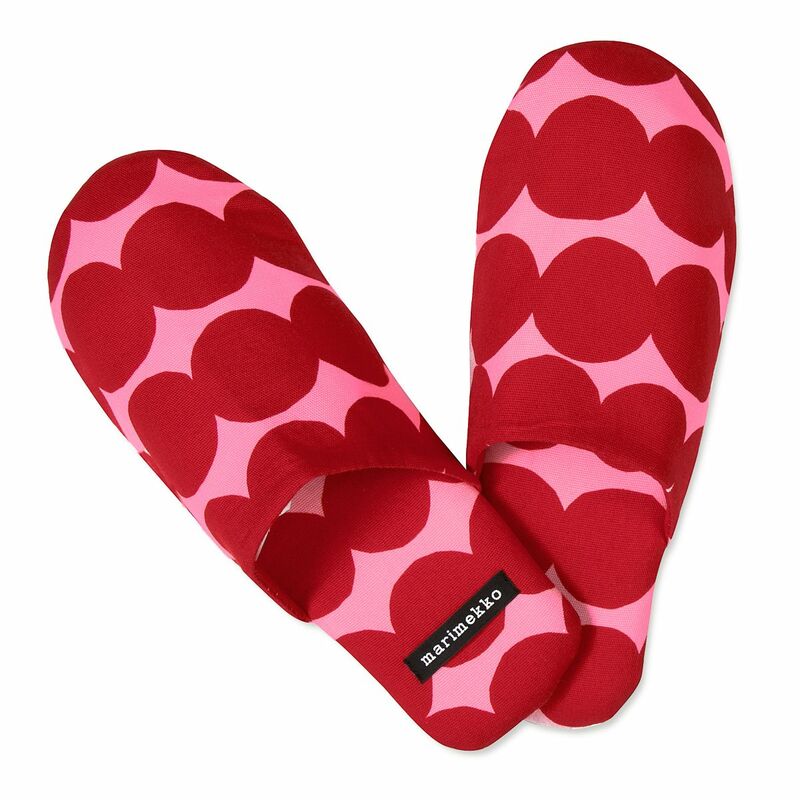 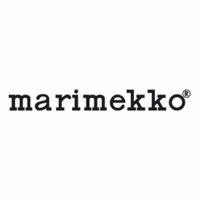 More about Marimekko Rasymatto Pink / Red Slippers Kick back in timeless style with the Marimekko Rasymatto Pink / Red Slippers. They feature Maija Louekari's popular Räsymatto (Rag Rug) pattern in a fearless and fun new colorway. 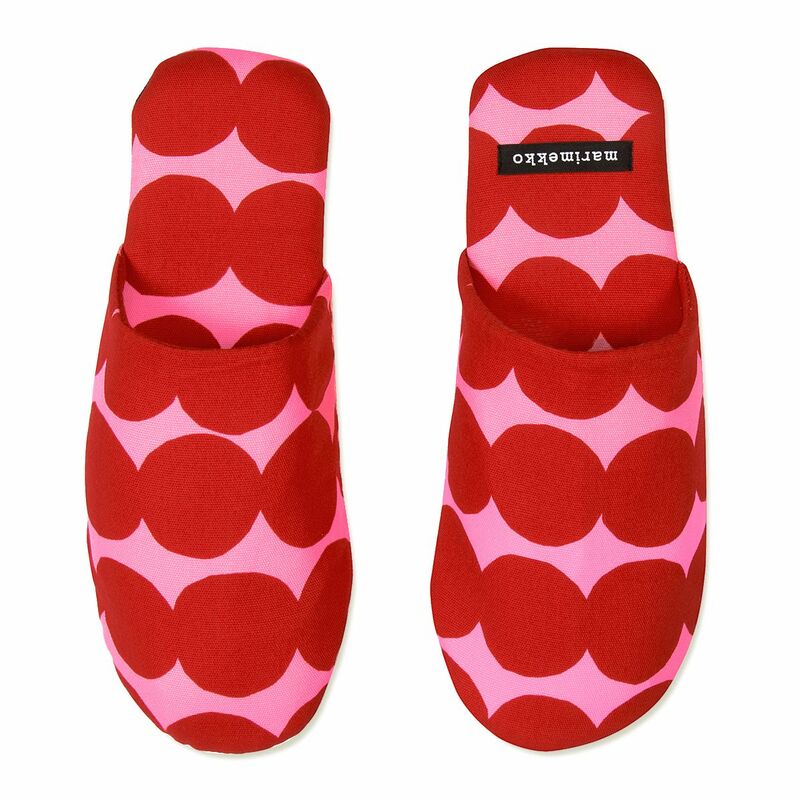 Made from 100% cotton and equipped with rubber soles, the slippers will feel as wonderful as they look while you're starting or ending a long day.